The single best way to care for your gaming computer is to provide it with routine care. Basic software and hardware maintenance is easy to perform and extends the life of your computer. Let’s take a look at the 10 commandments of computer care for your workstation PC. Antivirus software is responsible for catching viruses in spammy downloads and fishy websites. Some programs are free, while others cost around $50-$100 per year. Even if you choose to pay for the software, it’s still far less than what it would cost to have to restore your system. Software updates keep your PC running smoothly. Updates generally contain fixes for bugs and glitches as well as enhanced security features. Computer maintenance is a vital step in protecting your computer. On a PC, defragment your computer regularly and clean the registry. Scans and updates are also necessary. It’s a good idea to backup all files so that they are there if something happens to your computer. External hard drives are the popular choice for backing up photos, videos and other files. Software-based backups are also useful and allow you to go back in your workstation PC’s timeline in case of a glitch. It’s common to eat over your keyboard, but it’s a habit you should stop. Crumbs are more than a nuisance; they can damage the internal parts of the keyboard. Another part of your gaming computer that you should keep clean is the screen. Follow the manufacturer’s recommendations for cleaning, and always use a soft cloth or wipes specifically made for electronics. The fan and vents keep your gaming PC from getting too hot, but dust can get inside and cause them to run slow. Luckily, you can either clean the fan and vents yourself or take your laptop to a computer shop. Just one power surge can fry your gaming computer while it’s plugged in. Protect your system with an inexpensive surge protector, and carry one with you, too. Moderate temperatures of 68 to 71 degrees Fahrenheit are ideal temperatures for computers. Avoid leaving your laptop in a hot car or cold, damp basement for instance. If you bring your computer with you to school or work, make sure that you transport it in a padded carrying case. 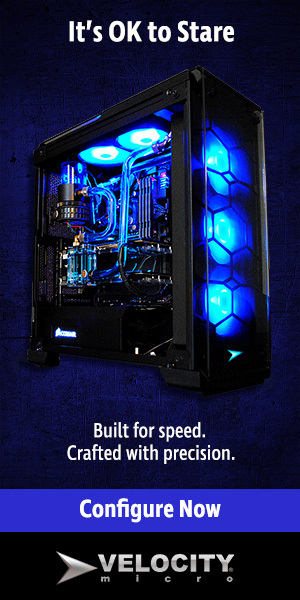 These cases not only protect computers from scratches and dents, but also they prevent them from getting dust and debris inside the fans, vents, etc. Take care of your gaming PC and it will reward you with a long life! ← How Fast Does Your PC Need to Be?